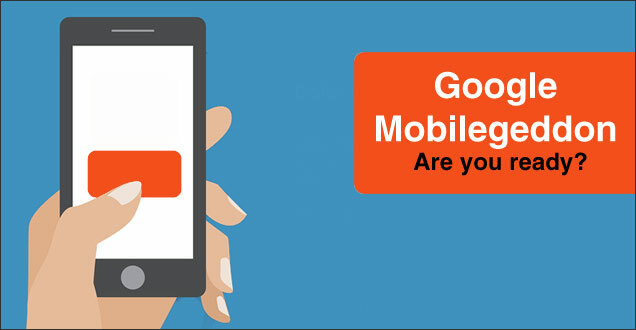 Blog What happens if my website is not mobile friendly? What happens if my website is not mobile friendly? If you have a website of any kind that has an audience, you can be sure that an increasing proportion of your visitors will be viewing your site on a smart phone. Overall, more than half of all internet traffic these days is on a smart phone, and for many businesses (particularly in the B2C space) this means it is very important that their websites are mobile friendly. So, what if my website doesn’t pass the mobile friendly test? If your website is not mobile friendly, right now it means that your visitors will not have a great experience browsing on their smart phones, and will likely not hang around as long, as also be less likely to contact you, engage with your content or make a purchase. However, from the 21st April, things are changing… and changing for the worse if your website is not mobile friendly. Google are rolling out a change that will demote non mobile friendly websites in the search results – to such a degree that in many sectors, mobile traffic will drop significantly, impacting your websites profitability. Your competitors who have a mobile friendly site will in turn see an increase in their traffic and profit, at your expense. So make sure you check your website NOW and if it does not pass, get in touch as there is a good chance we can help, but we are not a huge team, so you need to move fast to ensure you can get the upgrades made in time! What is the Snack Pack?